Plan Should Focus On Infrastructure Hardening, Flood Mitigation and Other Crucial Elements – Schumer Said Projects in Lawrence, Merrick, Freeport, Oceanside and Others Should All Be Considered. Nassau County, NY - September 9th, 2013 - U.S. 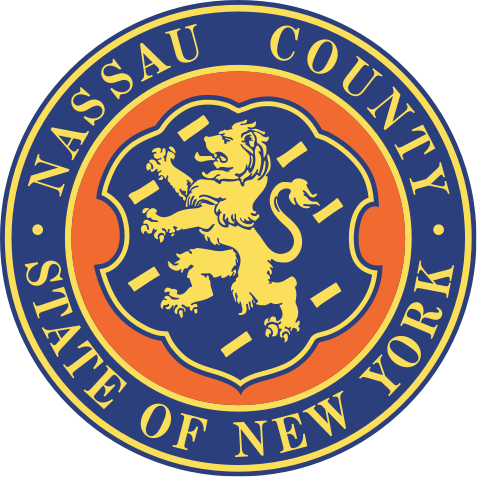 Senator Charles E. Schumer today called on the U.S. Department of Housing and Urban Development (HUD) to work with local officials, engineers and resiliency experts to develop a comprehensive resiliency plan for Nassau County’s mainland communities. A comprehensive protection project, the Fire Island to Montauk Point (FIMP) Project, is moving forward in Suffolk County, however no such comprehensive project exists for Nassau County. Schumer today called for HUD to use Community Development Block Grant funds, provided by the Sandy relief bill, to design and implement a county-wide resiliency project that incorporates the barrier island projects that are already being completed, as well as additional mainland projects to protect communities there. Schumer called for the plan to be completed by next summer, and construction to start in early 2015. “Nassau County needs a comprehensive regional resiliency plan so that all the mitigation projects we are working on can be tied together in a way that makes everyone safer and ensures that no communities are left out,” said Schumer. “I am pleased that we are moving forward with important and necessary Army Corps projects like FIMP for those living in Suffolk, however, HUD should step up to the plate and help develop similar projects for Nassau County’s mainland communities like Merrick, Oceanside and Freeport. " “I commend Senator Schumer for always fighting for Long Island as we all need to work together so Nassau and Suffolk get the resources they need to recover from Superstorm Sandy and to make us more resilient for the next storm,” said Kevin S. Law, President & CEO, Long Island Association. Schumer today said that HUD already has a program in place, created and funded by the Sandy relief bill, that could be used to create and implement this comprehensive plan. Currently, HUD is promoting a regional design program, known as “Rebuild by Design,” that is focused on developing resiliency projects for Sandy-affected communities. The program is bringing together teams of people from both inside and outside government to harvest the best practices and best ideas for how to protect the coastline. HUD has already selected ten design teams to help develop and review projects, and Schumer said that Secretary Shaun Donovan should direct several of these teams to work with local officials and experts, and develop a comprehensive protection plan for Nassau County, and that that plan should be selected for funding. Address reoccurring flooding on Meadow Lane and Marbridge Road in Lawrence. Because in Merrick, Freeport, Oceanside most of the flooding came up from the sewers, install a South Shore flood mitigation system that includes tidal check values and additional catch basins with pumps along the south shore. “Rebuild by Design” is HUD’s regional design competition intended to promote resiliency for Sandy-affected regions through plans designed by a broad collation of stakeholders. The goal of the competition is to first promote innovation by designing regional solutions that increase resiliency and second, to implement selected proposals with both public and private funding dedicated to this effort. During the first stage of the competition, HUD solicited design teams to promote coastal resiliency projects in Sandy affected areas. HUD received 143 responses and 10 teams were chosen. Each team will receive a $100,000 stipend to proceed to stage two, which is about to begin. During the second stage, each of the 10 teams selected will work with a wide-variety of stake holders to learn more about the regions struck by the storm. They will participate in a three-month analysis stage including seminars, team symposia to discuss needs for resources, and regional site visits to interact with local stakeholders. Stage two is expected to finish in October. Schumer today said that stage two was a perfect time for HUD to engage with local officials and experts on Long Island and work to develop a comprehensive coastal protection plan for Nassau County. During the third stage, each team will receive an additional $100,000 to design site-specific proposals for locally-implementable projects. The competition jury will evaluate the final design proposals and identify winning projects that may be implemented with federal disaster recovery resources. The final stage involves the implementation of the winning design with federal disaster recovery funds. Schumer today made the case that the federal government is moving forward with protection projects in Suffolk County and the barrier islands in Nassau County, however, no such project exists for Nassau County’s mainland. The Army Corps’ FIMP project is currently in the process of moving forward and it will help provide hurricane protection and beach erosion control along 83 miles of Suffolk County’s south shore. Additionally, the Long Beach Island protection project will provide dune protection along barrier islands of Jones Inlet and East Rockaway inlet. Schumer today urged HUD to use the “Rebuild by Design” competition to solicit and develop a specific mainland Nassau County resiliency plan to be paid for with CDBG funds. Schumer explained that the design teams chosen by HUD should work with Nassau County experts and focus on Nassau County’s mainland communities when developing and implementing resiliency projects. Schumer explained that mainland communities like Oceanside and Freeport were hit hard by Superstorm Sandy and protection projects in these areas are just as necessary as those being developed in Suffolk County. Schumer pointed to damaged wastewater treatment facilities, downed power lines and flooded roadways throughout Nassau County in the wake of Superstorm Sandy. Schumer explained that HUD should focus on hardening the infrastructure in Nassau County’s mainland neighborhoods and provide any flood mitigation measures necessary in the event of a future storm. More information on “Rebuild by Design” competition can be found at this link. Subject: LongIsland.com - Your Name sent you Article details of "Schumer Calls For Feds To Develop Comprehensive Nassau County Coastline Protection Project Using Funds From Sandy Relief Bill"